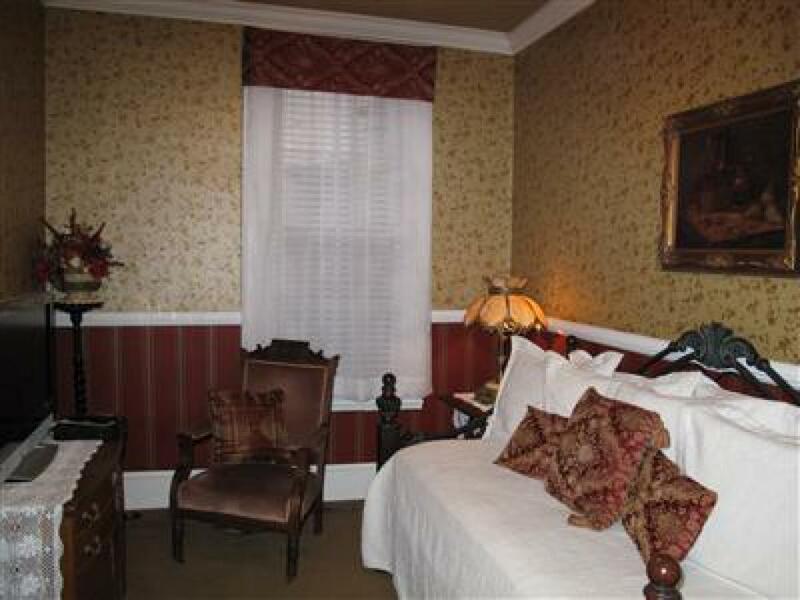 Located in the Main House, this standard queen room contains a queen-size brass bed with antique dresser, bench, electric fireplace, and TV. 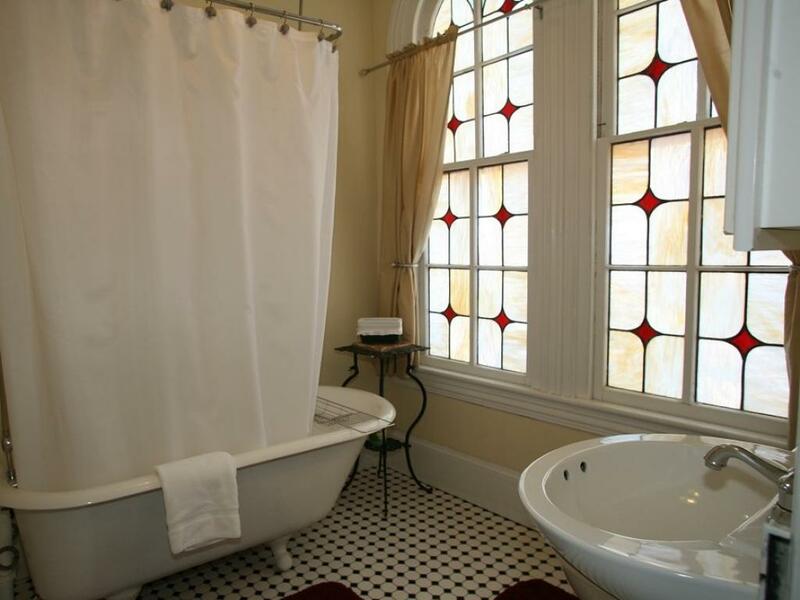 The private, tiled bathroom is in the room with a clawfoot tub/shower. 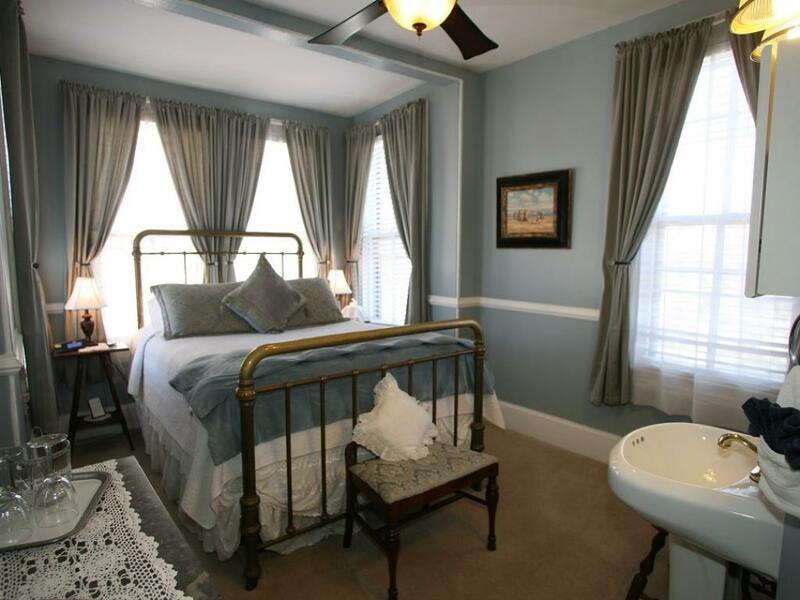 Parking for this room is on the street. Located in the Cottage, this standard king room contains a king-size bed with antique dresser, chairs, electric fireplace, TV and DVD player. 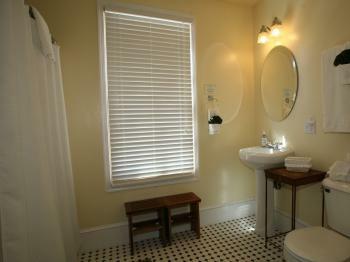 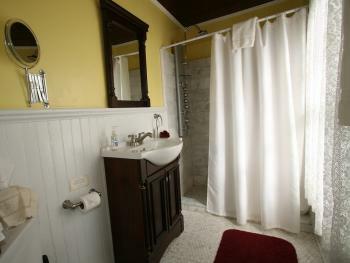 The private bathroom is only a few steps down the hall with clawfoot tub/shower. Bathrobes are included with the room. 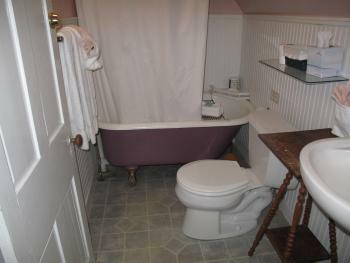 (Please note: This is a 3rd floor room in which the bathroom is situated in the eaves, so anyone over 6 feet tall may find this room challenging.) 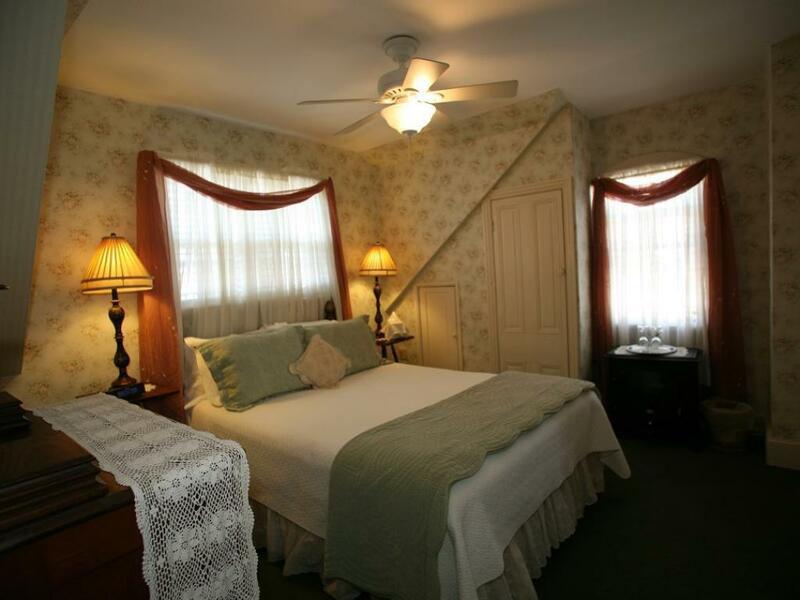 Parking for this room is on the street. 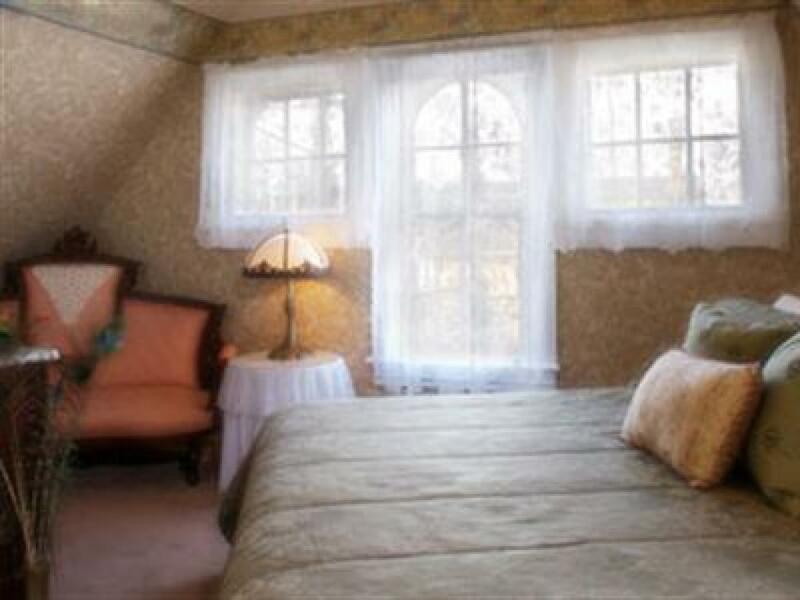 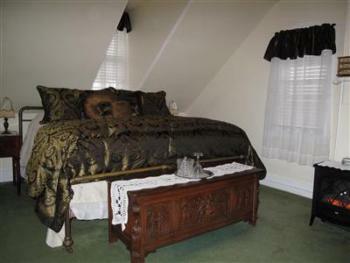 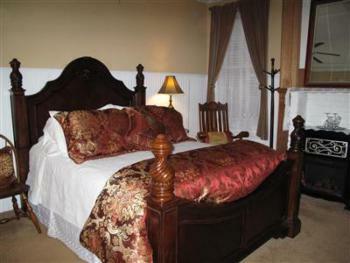 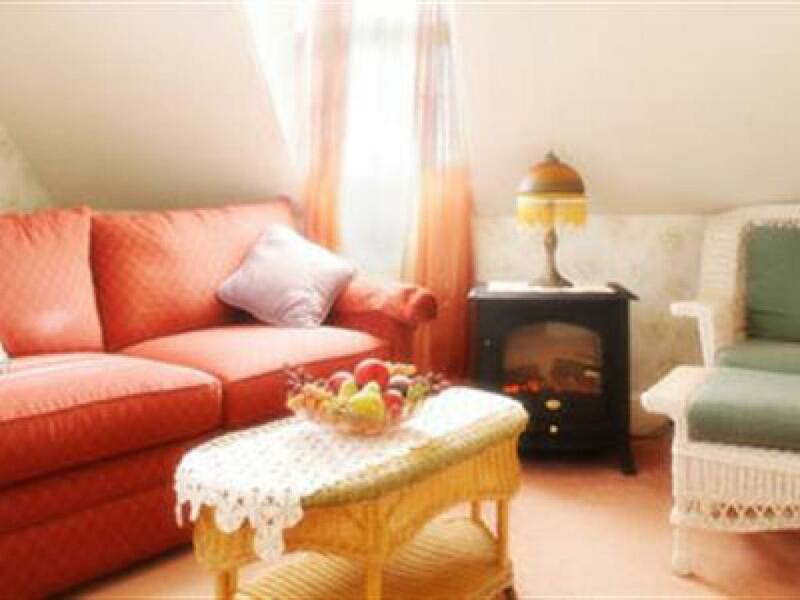 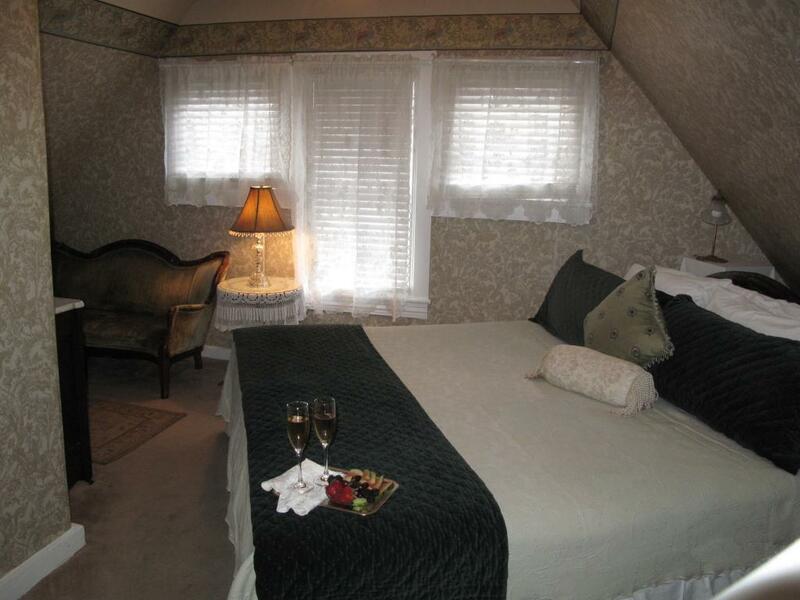 Located in the Cottage, this deluxe king room has a TV/DVD player and electric fireplace. 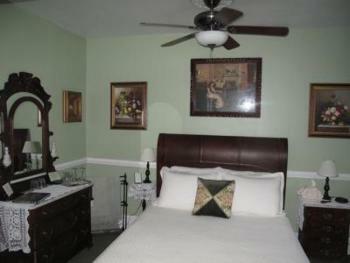 The bedroom area has a king-size bed with antique dresser and chair. 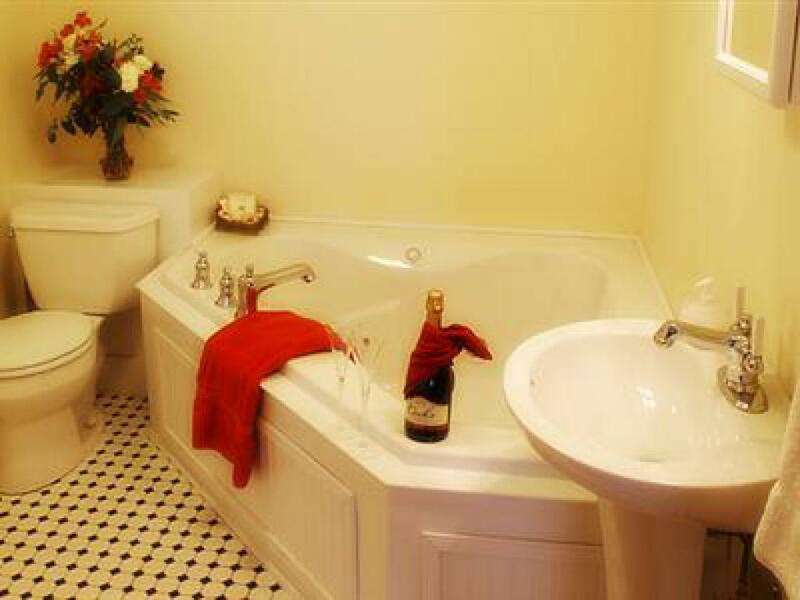 The private bathroom is en suite with a carrera marble walk-in spa shower. 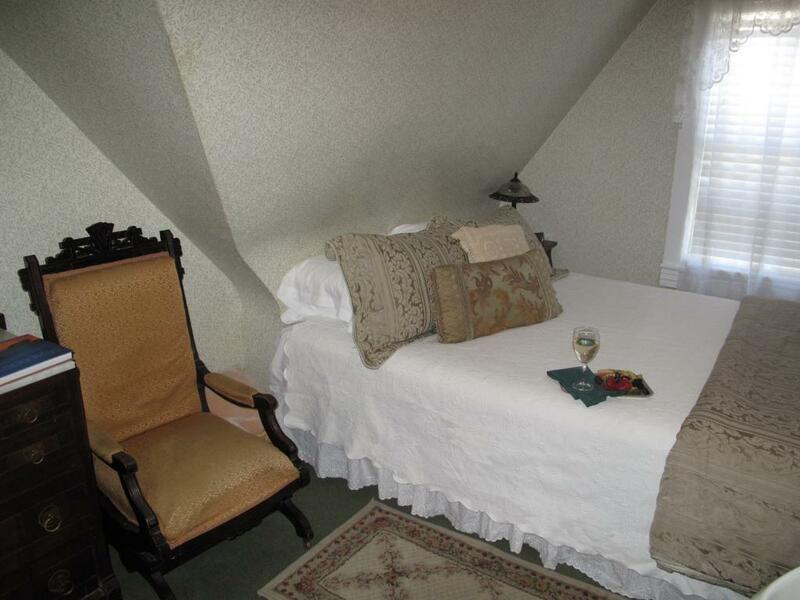 This room is street parking. Located in the Main House, this standard queen room contains a queen-size brass bed with antique dresser, bench, side chair, and TV. 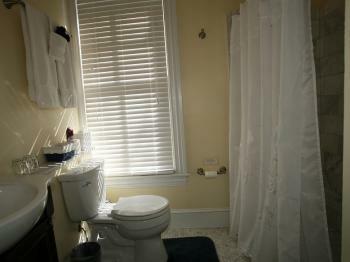 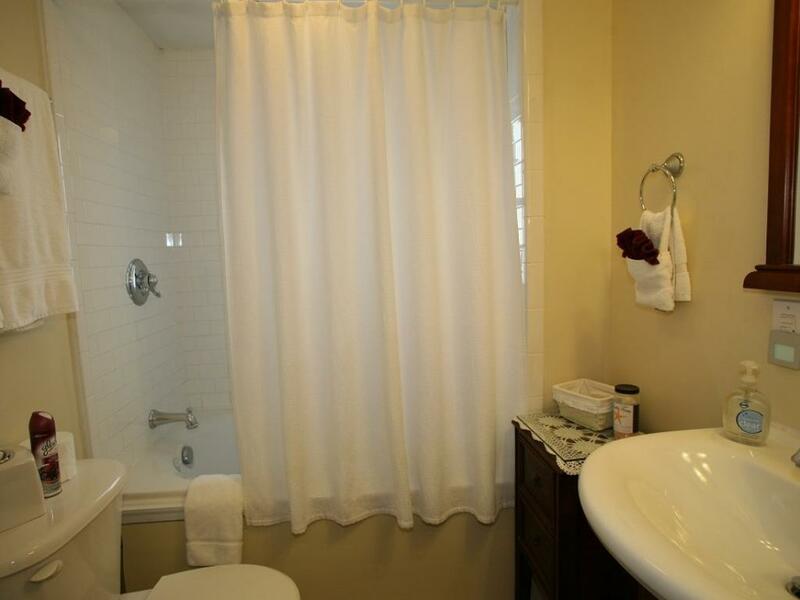 The private, tiled bathroom is in the room with a shower stall. 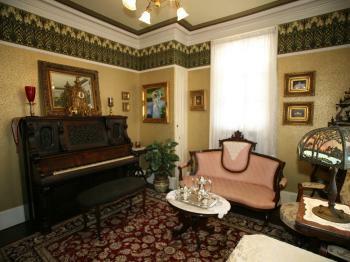 The room is in the front of the house with five large windows. 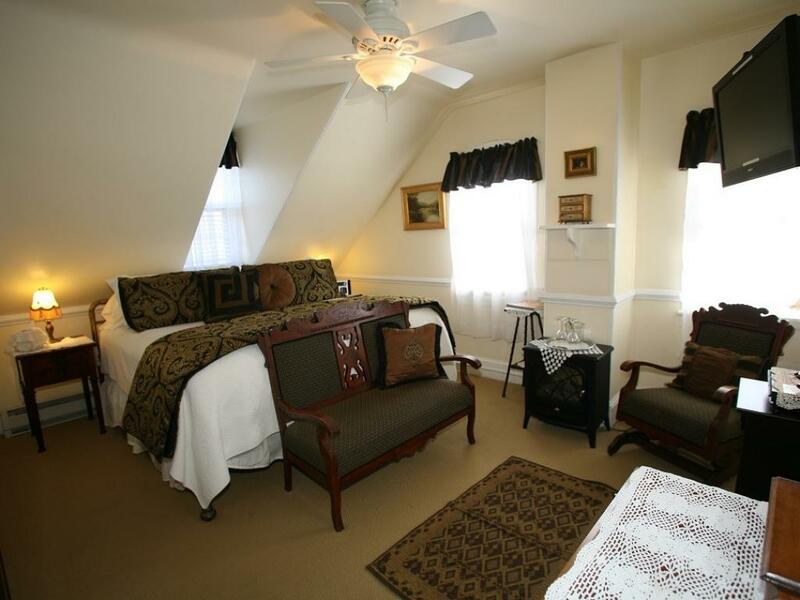 Parking for this room is on the street. 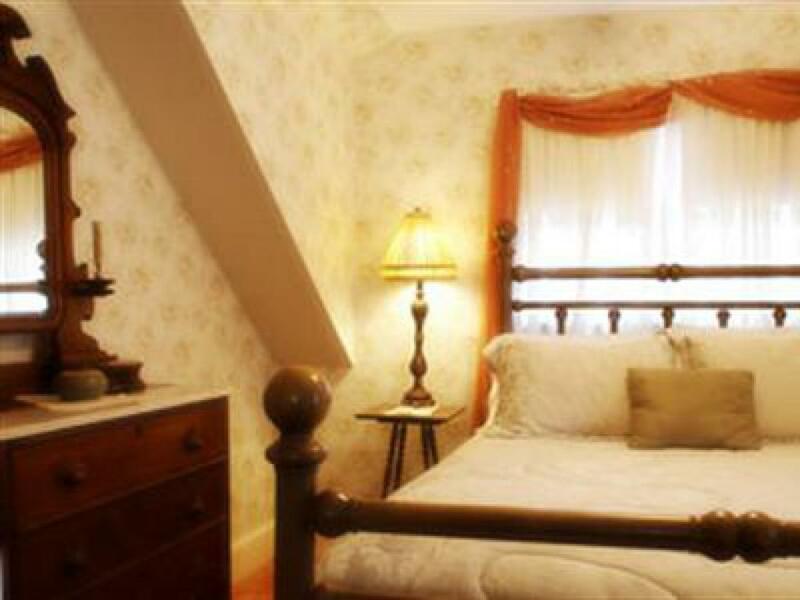 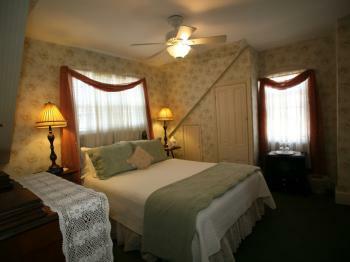 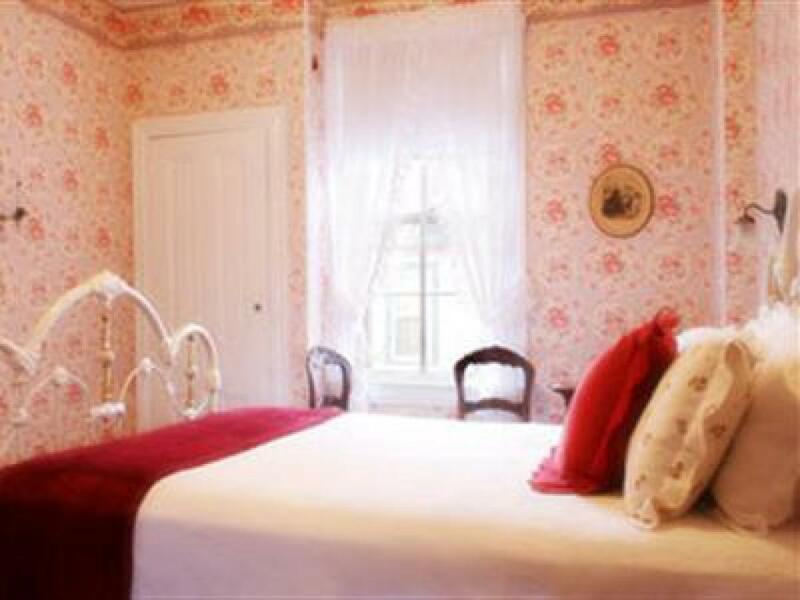 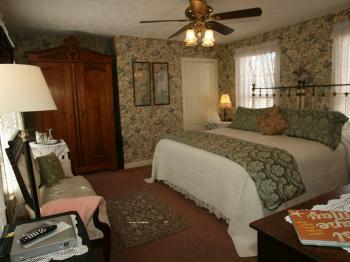 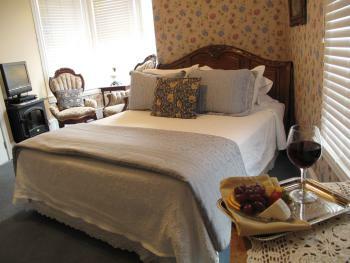 Located in the Cottage, this economy room contains a queen-size bed with antique dresser and chair. The private bathroom is in the room with a stall shower. (Please note: This is a 3rd floor room in which the bathroom is situated in the eaves, so anyone over 6 feet tall may find this room challenging.) 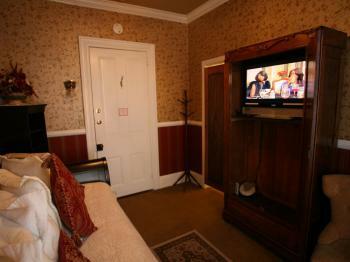 This room does not have a TV. Parking for this room is on the street. Located in the Main House, this deluxe king room contains a king-size brass bed with antique dresser, settee, large flat screen TV, DVD player and electric fireplace. The private, tiled bathroom is in the room with a spa shower. This room also comes with on-site parking. 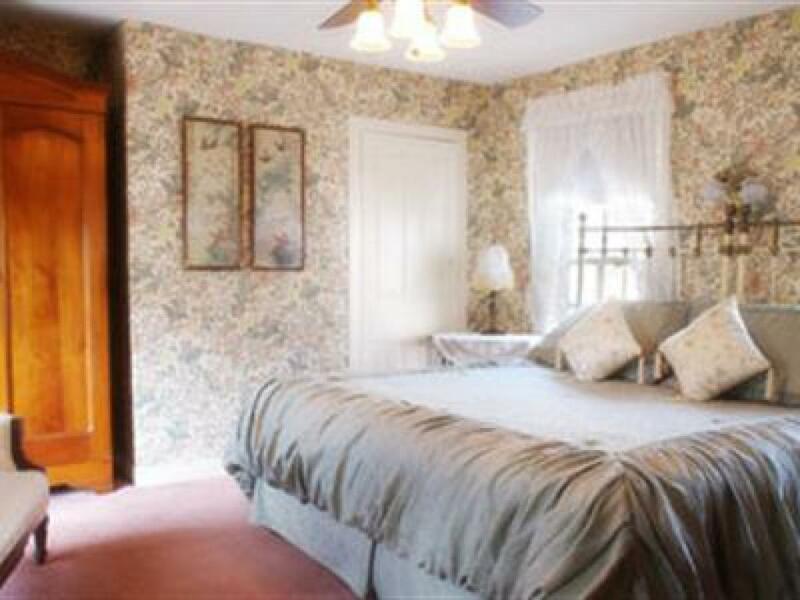 Located in the Cottage, this super deluxe room contains a king-size bed with antique dresser, chair, TV, and electric fireplace. 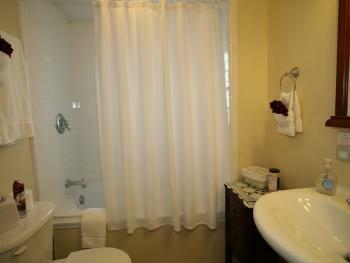 The private bathroom is en suite with carrera marble walk-in spa shower. 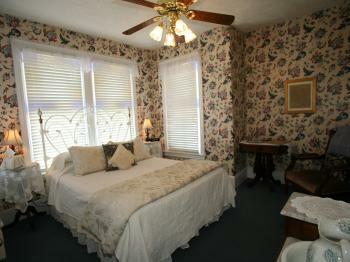 A private, screened-in porch is also adjacent to the bedroom. This rooms comes with onsite parking. 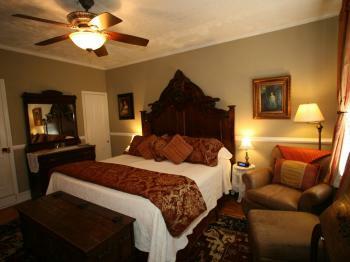 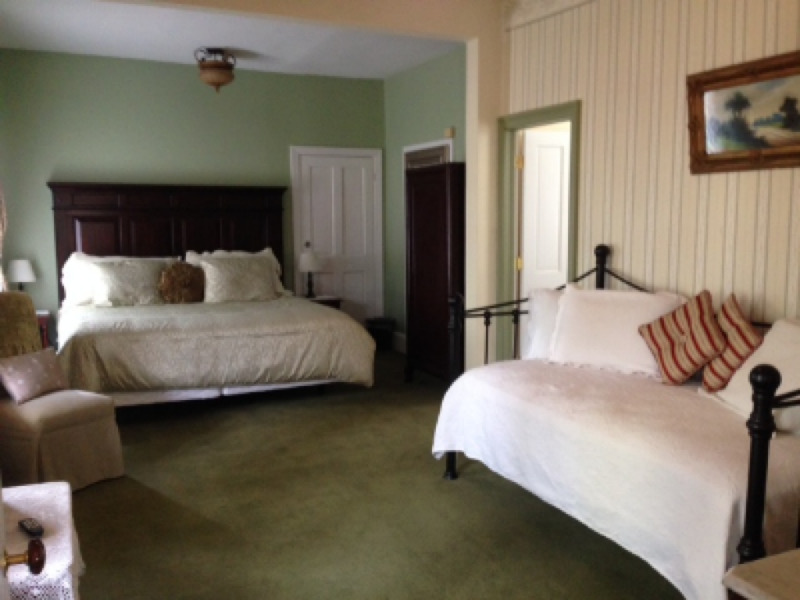 Located in the Main House, this standard room contains a queen-size bed with antique dresser, side chair, and TV. 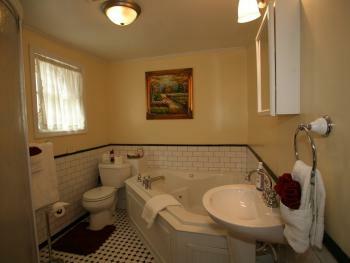 The private, tiled bathroom is in the room with a shower stall. 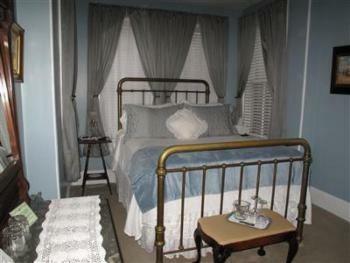 This room is street parking. 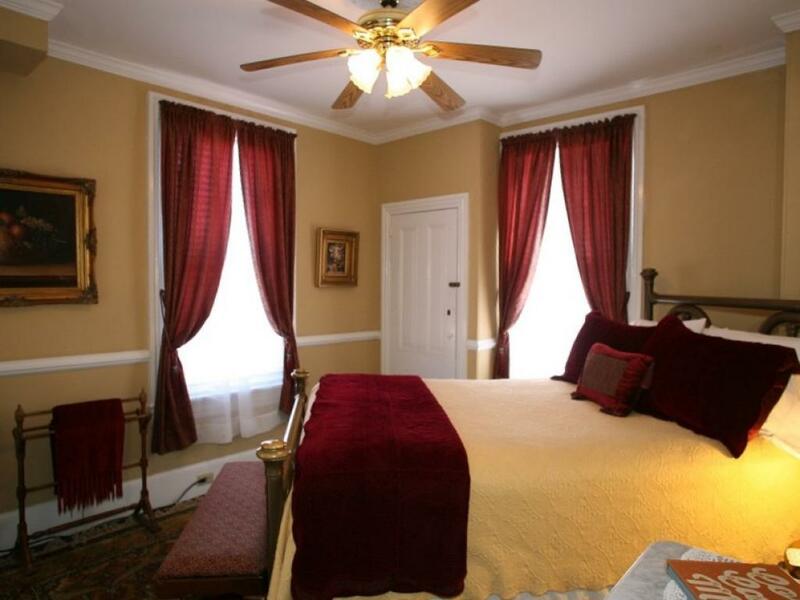 Located in the Main House, this super-deluxe king room contains a king-size walnut Victorian bed frame, antique dresser, gas fireplace, large flat screen TV, DVD player, mini refrigerator and a leather chair. The private, tiled bathroom is in the room with a corner Jacuzzi tub & shower stall. 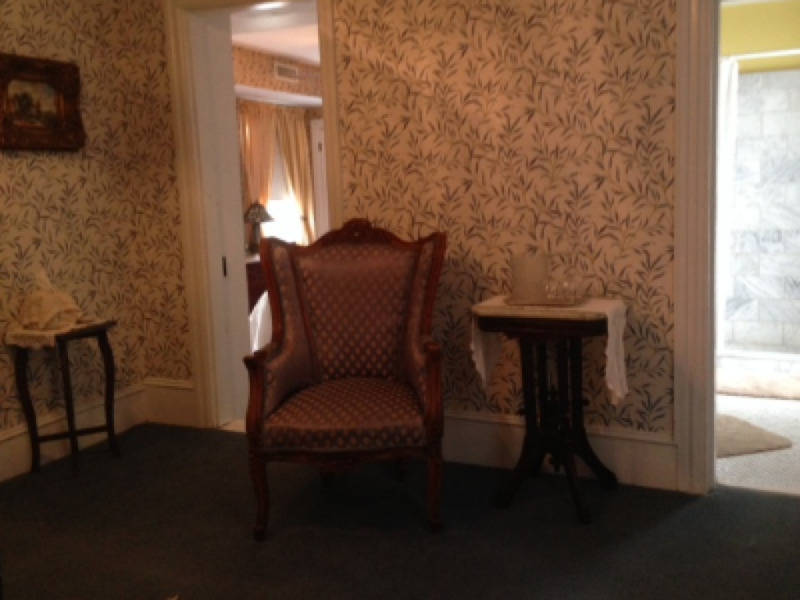 There is a private entrance to the room. 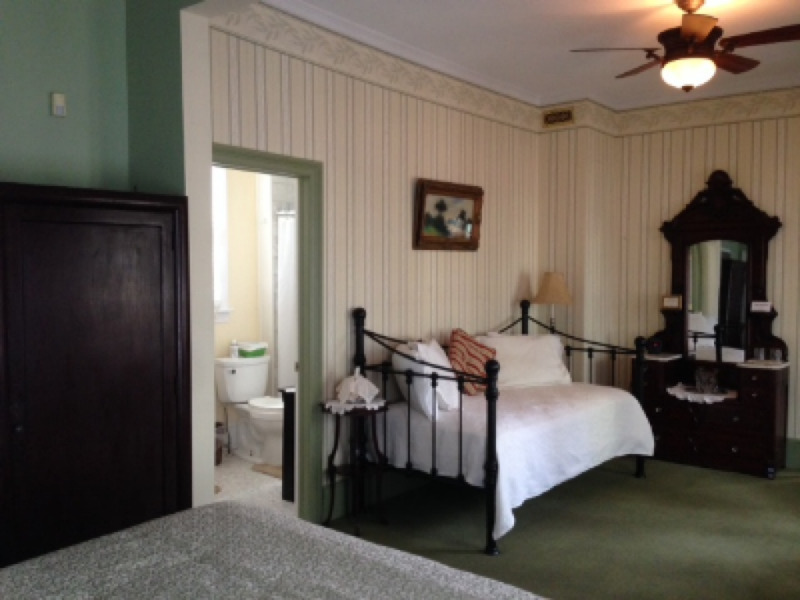 This room also comes with on-site parking. 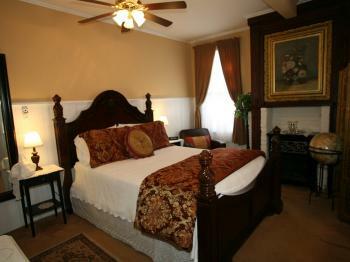 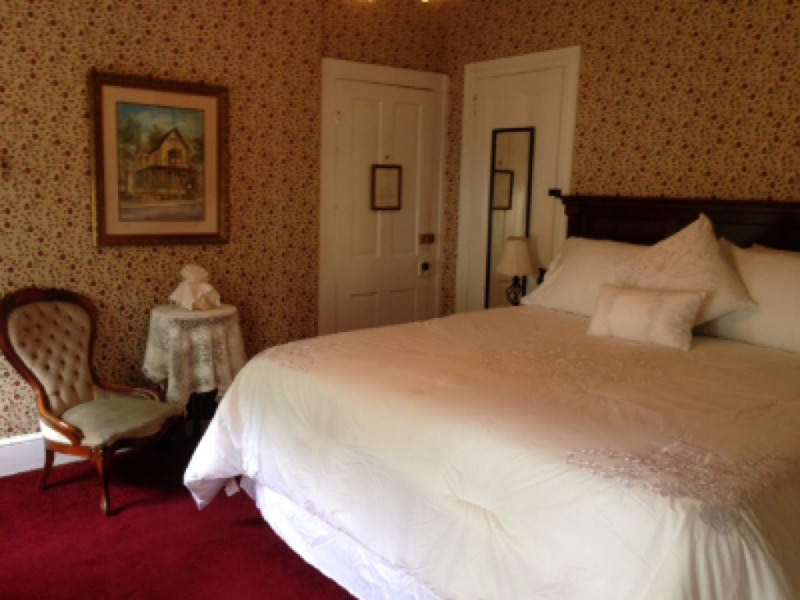 Located in the Main House, this economy queen room contains a queen-size brass bed with antique dresser and chair. 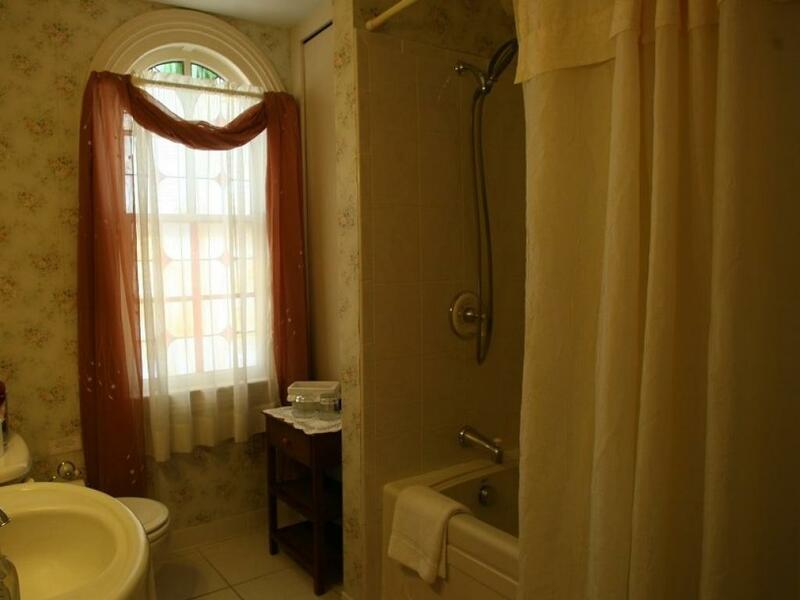 The private bathroom is in the room with a shower stall. 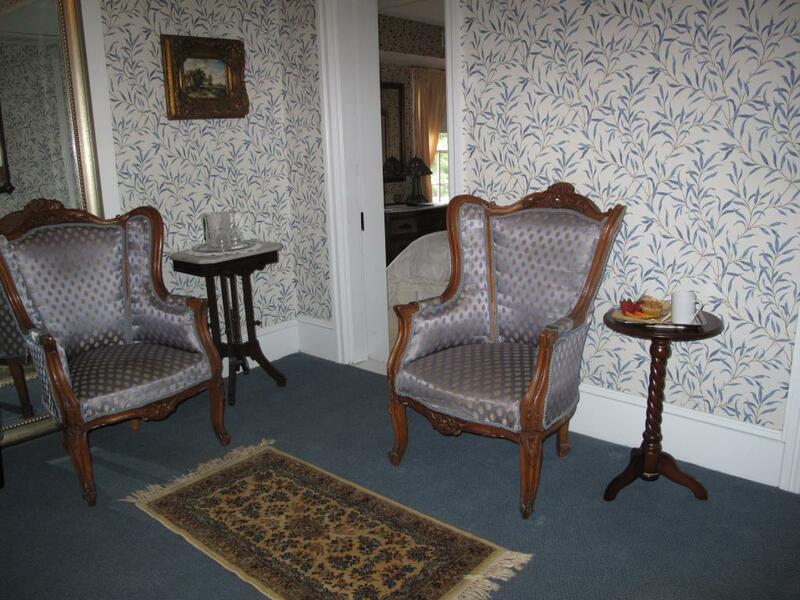 This room does not have a TV. Parking for this room is on the street. Located in the Main House, this deluxe king room contains a king-size brass bed with antique dresser, settee, chair, large flat screen TV, DVD player, electric fireplace, and private deck. 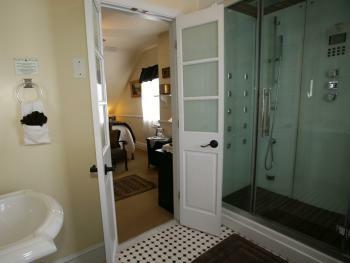 The private bathroom is in the room with spa shower. This room also comes with on-site parking. 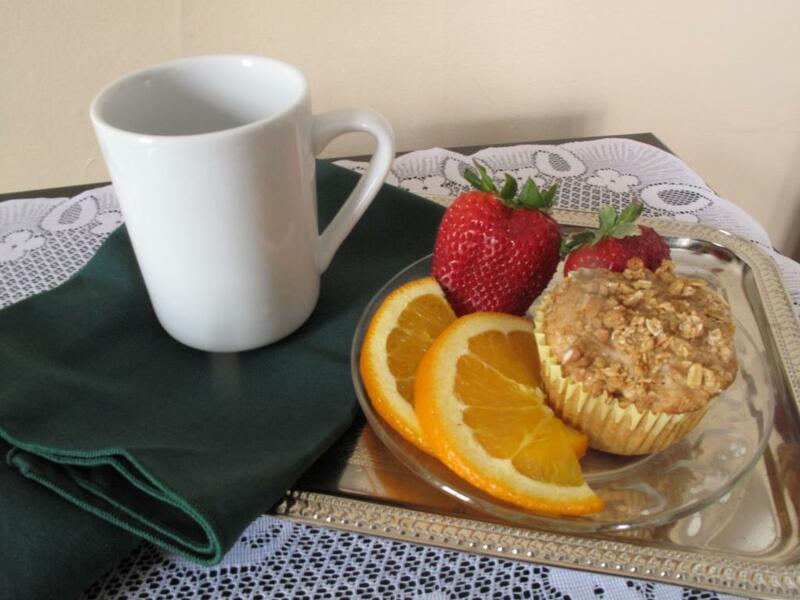 BREAKFAST – Every morning coffee, muffins and fresh whole fruit are available in the dining room by 8am. 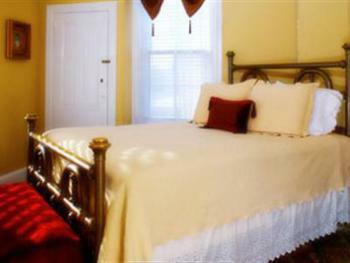 Additionally, each house provides a Keurig coffee maker and hot and cold-water dispenser in the hospitality area 24 hours a day. 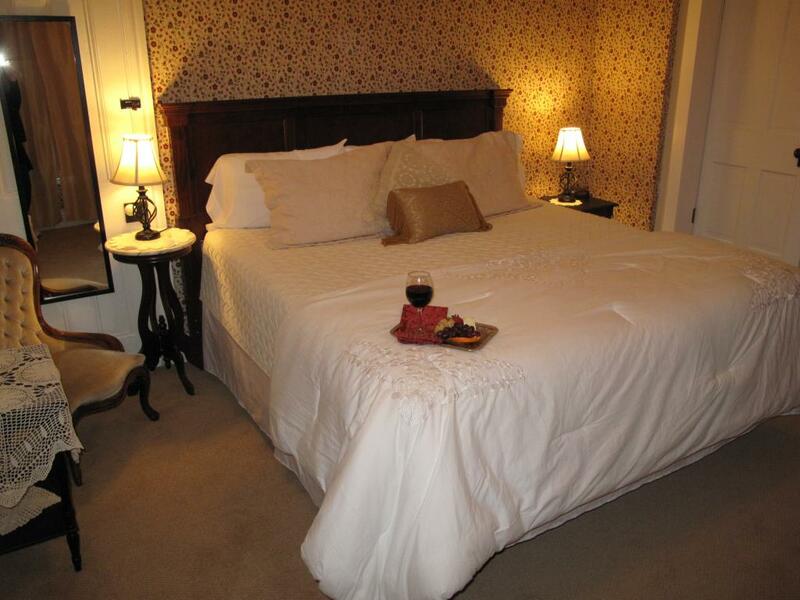 Some rooms have coffee makers as an amenity. The Bacchus Inn offers a seated breakfast at 8:30am or 9:45am. Each breakfast seating is limited to 16 people. 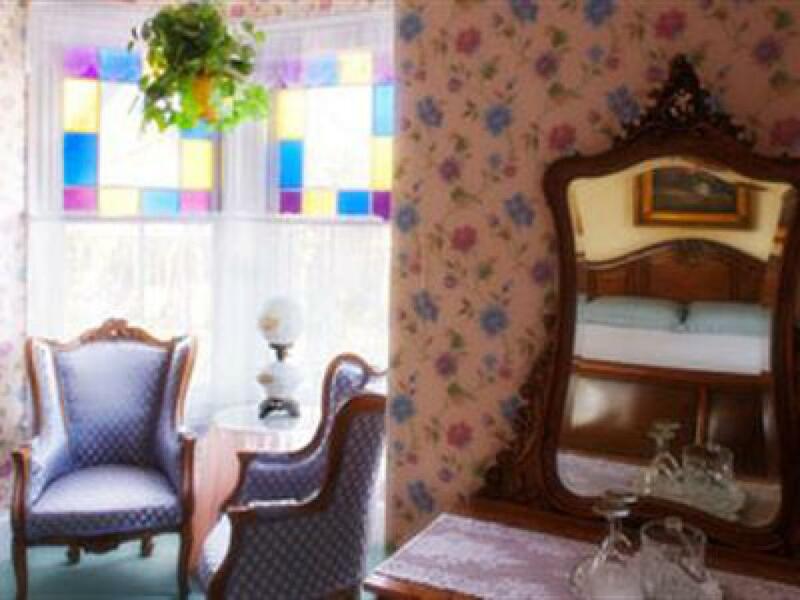 Times will be slotted based on availability at check-in. 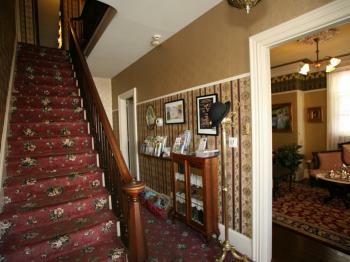 Breakfast menus are provided on the room door the evening before. 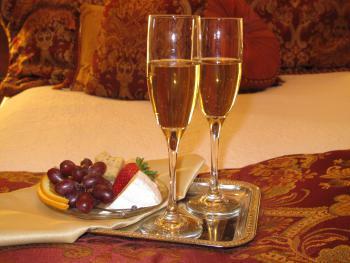 Breakfasts alternate every other day between a sweet main course and a savory main course. 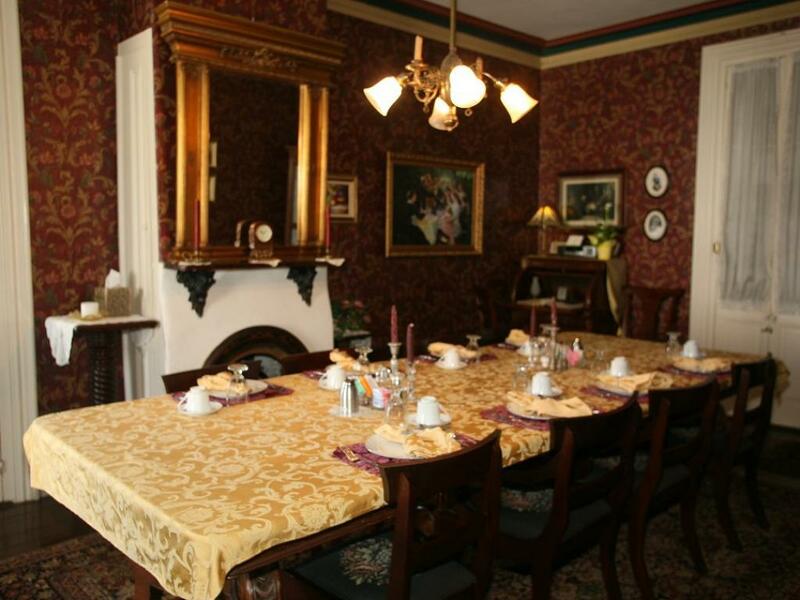 Each breakfast offers a fresh fruit 1st course followed by the main entree which includes a breakfast meat and main entree. 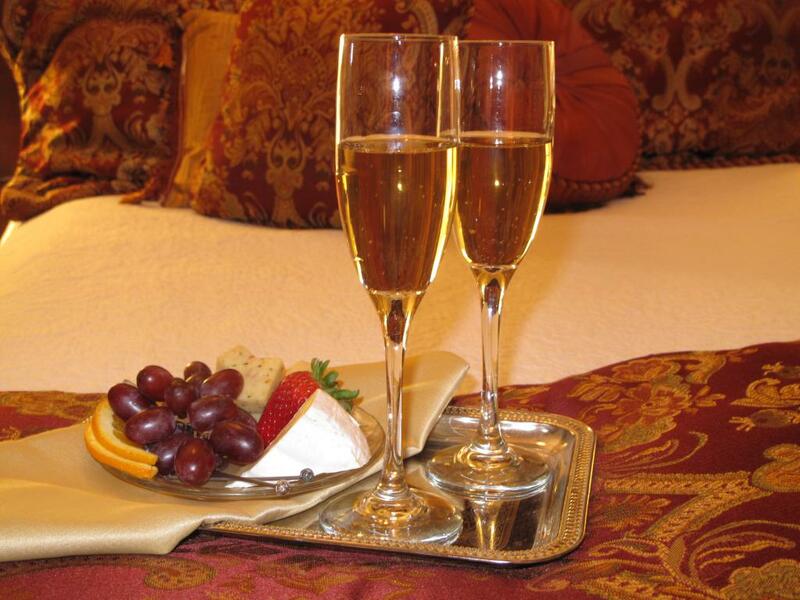 We alternate between 6 different breakfasts a week. Some breakfast are only available in certain seasons. Cereal, including oatmeal, is listed on the menu and available daily as an alternative. Common Areas- The Bacchus Inn provides two parlors, two outdoor porches, one enclosed porch, side porch café seating. 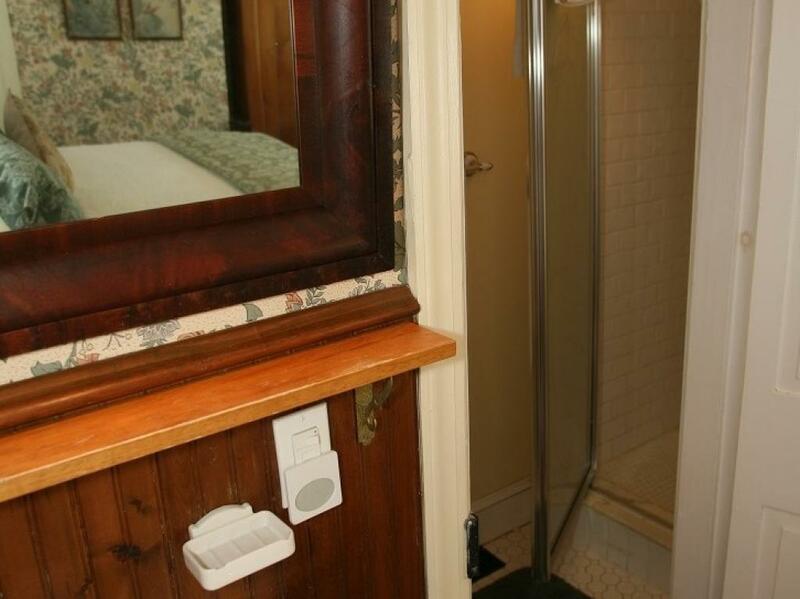 There is an outdoor shower and bike rack available. 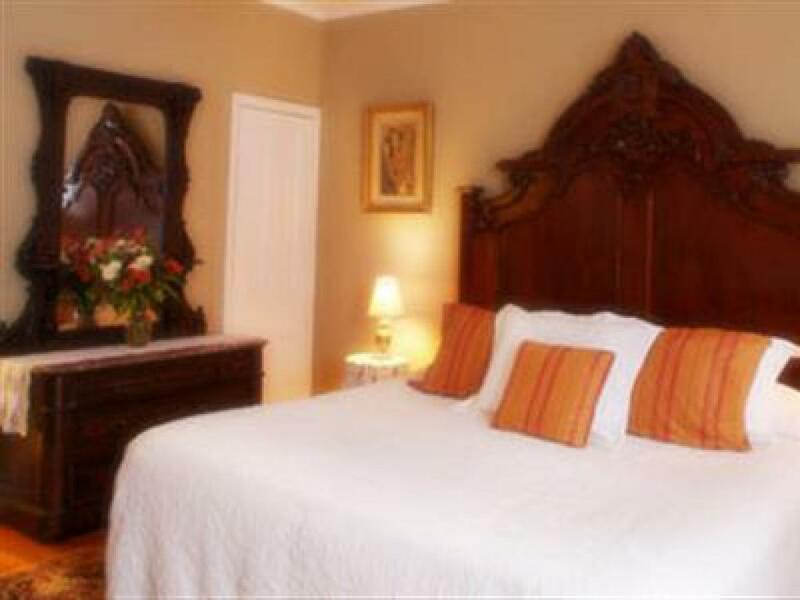 Onsite parking is available for some specific rooms. 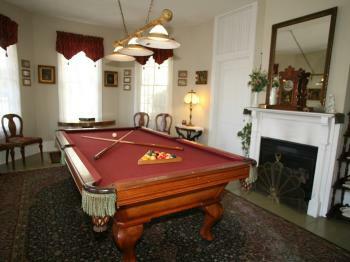 Additional amenities- WIFI, Billiards, Beach chairs, Beach towels, and some Beach Bikes are available. 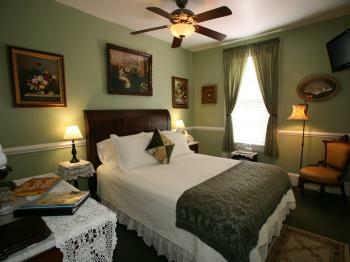 Location- The Bacchus Inn is on Columbia Ave at Howard St in the historic district. 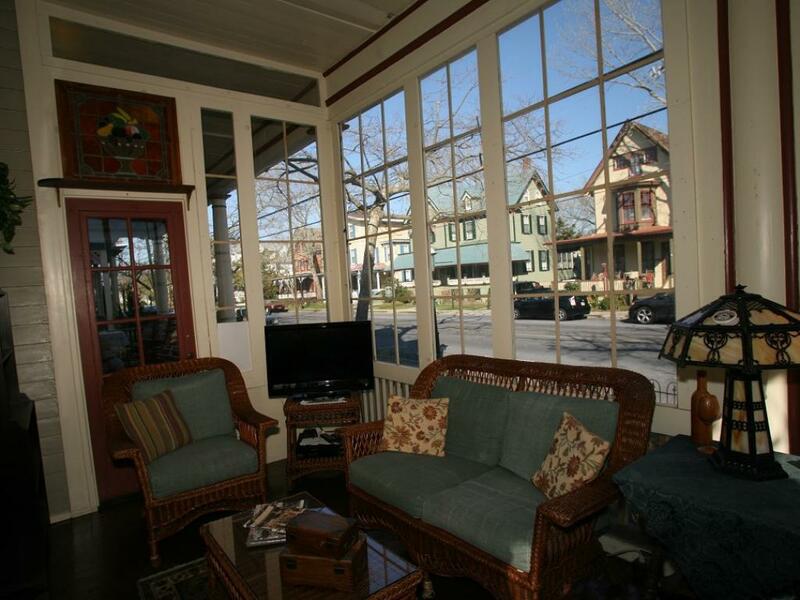 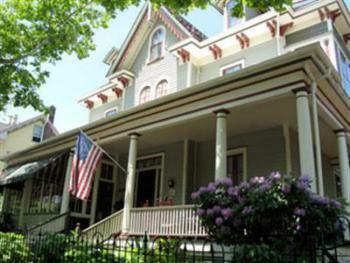 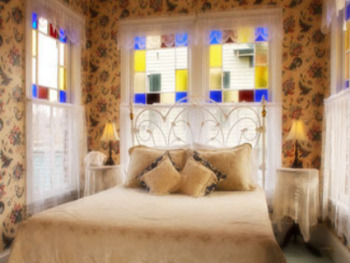 The Bacchus Inn is with in a 10 block radius of many of Cape May’s attractions. The Bacchus Inn is a convenient walk(2.5 blocks) to the beach, Washington street mall (2 blocks down 2 blocks over)and most Cape May restaurants(near Inn location). 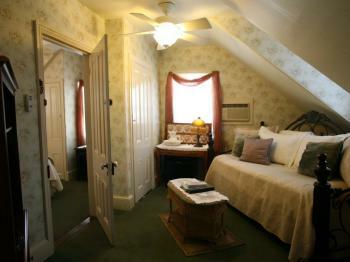 Rooms- We pride ourselves on offering rooms for every occasion. 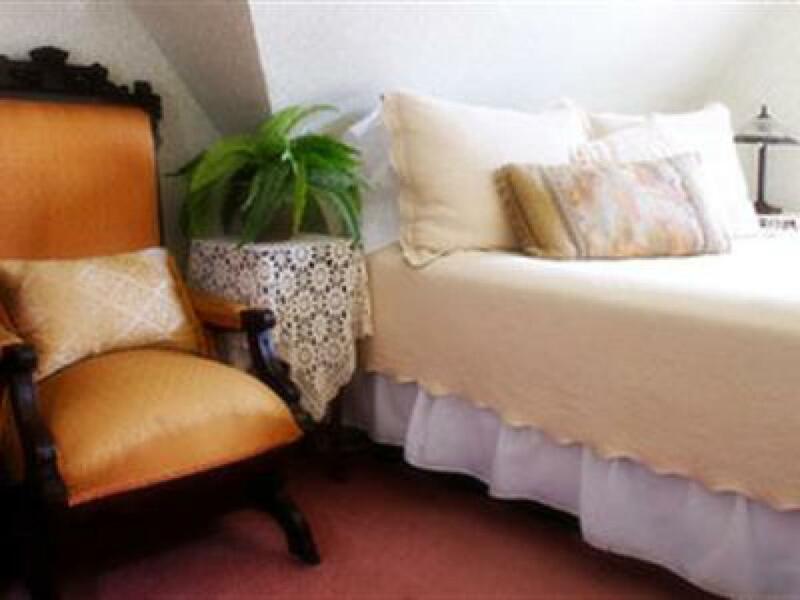 Economy rooms for basic getaway, standard rooms with more, deluxe with special feature, suites with extra space and super deluxe for that special vacation experience.